If you like spices as much as we do, you’re going to love this giveaway. We’re reviewing two spice extracts from Holy Lama Spice Drops, cinnamon and tulsi. But the giveaway is for a lovely bundle of five spices, cardamom, cinnamon, ginger, nutmeg and vanilla. Read on to find out how to enter. Spices really are the spice of life, or at least they are in my world. I find it hard to imagine not having a ready supply of cinnamon, ginger, cardamom, vanilla and chilli, all spices I use on a regular basis in my baking and cooking. Cumin, coriander and turmeric are firm favourites too, but I have many other spices stuffed away in my cupboard. It is these, other less used spices that can be a bit of a problem. Spices are expensive and once ground, they don’t have a very long shelf life. Ideally, for real freshness and flavour, I would grind all of my spices as I need them, but this just isn’t practical; I’m usually in a hurry and often can’t grind them as finely as I’d like. This results in having to throw some of my precious spices away as they just become to old to use. Holy Lama have come up with an ingenious solution to this dilemma – spice extracts, or as they like to call them Spice Drops. These are highly concentrated extracts which have a shelf life of three years. Priced at around £3 a bottle, these could cost considerably less than buying whole or ready ground spices over the same time period. 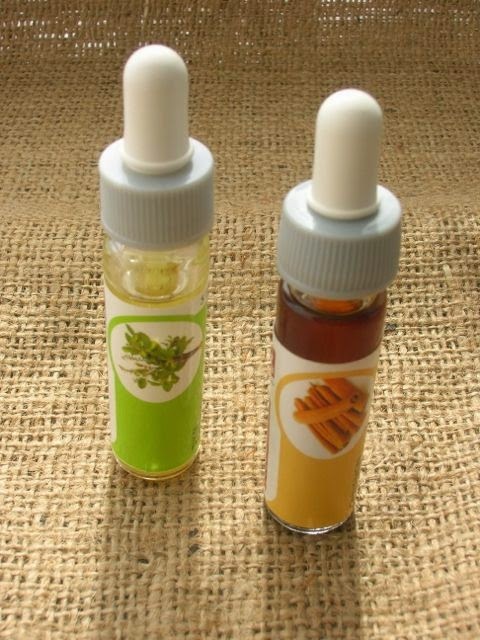 The extracts come in little 5 ml bottles with droppers for precise and easy measures. Although the spice drops work well in baking, it is recommended that they are added at the end of cooking where possible to keep the flavours vibrant. As regular readers will know, I like my products to be as natural as possible. The extracts are held in caster oil, which is fine, but I was a little concerned to see it was hydrogenated oil and wonder why this is necessary. However, they are ethically made in Kerala, South India. The company website states it offers fair wages to its staff and fair prices to it’s farmers. Most of the staff are women and many of them are from disadvantaged backgrounds. Sustainability is important so the factory’s carbon footprint is deliberately low. Holy Lama is a member of the British Association for Fair Trade Shops and Suppliers. All that counts for a lot. The range is quite large and include spice blends as well as individual spices. There are a number of kits containing a collection of relevant spices. I had my eye on the Baker’s Spice Drop Kit, a collection of five spices: cardamom, cinnamon, ginger, nutmeg and vanilla. However I was only sent a bottle of cinnamon and one of tulsi to try out. As soon as I unwrapped the outer layer of protective plastic from the cinnamon bottle I nearly swooned with the wonderful scent that emanated from it. I adore cinnamon and if forced into a corner, would probably name it as my favourite spice. One drop is meant to be the equivalent of ½ a teaspoon of the ground spice. I tried a tiny drop neat and it was very strong – not something I’d recommend. 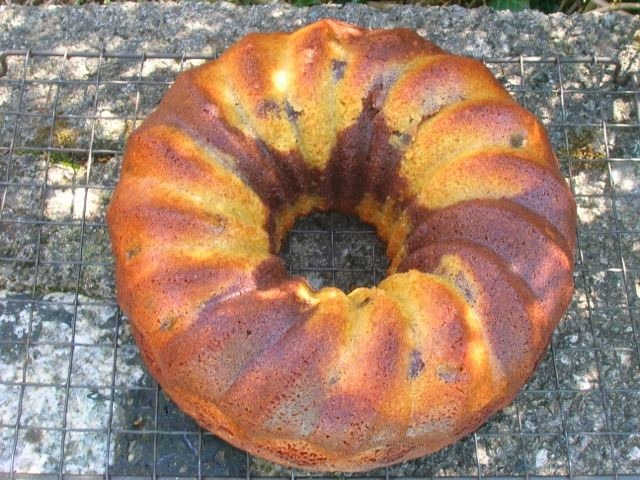 The first thing I made with it, was this Spicy Orange and Chocolate Easter Bundt. I used one drop only, hoping to get just a hint of cinnamon and it worked perfectly. The tulsi I was a little more unsure about. CT and I drink quite a bit of tulsi tea and are accustomed to the flavour. Holy basil, as it’s also known, has a very distinctive taste and although I was keen to try it with chocolate I wasn’t at all sure it would work. I decided to use it first in a cup of hot chocolate, a rich dark drinking chocolate I am currently reviewing. The directions say one drop for every 200ml of liquid or more to taste. I had 250ml of liquid and used only one drop and it was very powerful. I’m not sure I shall be taking to tulsi hot chocolate as a regular drink, but it did sort of work. Like coffee and tea, it has similar bitter notes which marry well together. It was, however, too strong and I was left with a powerful tulsi taste in my mouth for a long time afterwards. So for this extract, I would suggest, proceed with caution. Subsequent to writing this post, I’ve acquired a range of Holy Lama spice drops. I use them regularly, but mostly when it comes to baking. Here are a few of the recipes where I’ve included them. Thanks for visiting Tin and Thyme. If you like delicious and nutritious recipes, stay in touch and follow me on Twitter, Facebook, Instagram or Pinterest. Holy Lama have offered up a selection of five spice extracts to one lucky Chocolate Log Blog reader. This Baker’s Kit consists of: cardamom, cinnamon, ginger, nutmeg and vanilla. To be in with a chance of winning, please fill in the Gleam widget below. You will need to leave a comment on this post which then gives you additional chances to enter if you so wish. Gleam will pick a winner at random from the entries received. If you are commenting anonymously, please give me some way of identifying you as I will be verifying the validity of entries. Any automated entries will be disqualified. This giveaway is only open to those with a UK postal address. Winners will need to respond within 7 days of being contacted. Failure to do this may result in another winner being picked. Prizes are offered and provided by Holy Lama and Chocolate Log Blog accepts no responsibility for the acts or defaults of said third party. Thanks to Holy Lama for the spice extracts. There was no requirement to write a positive review and as always all opinions are my own. Thanks to my readers for supporting the brands and organisations that help to keep Tin and Thyme blithe and blogging. I am quite partial to vanilla in stuff I eat and drink for that matter! An exciting giveaway! I love cinnamon and vanilla, especially in baking! They are my go to ingredients no matter the recipe! Vanilla would be my favourite and I’d use it to make custard. Nutmeg is my favourite spice in the kit. I use it freshly grated in both sweet and savoury dishes. Try tulsi in a lemon and ginger tea. It also works wonders for a common cold and can be substituted for basil (same family). Thanks Amrita. We drink tulsi tea anyway, mostly for its health benefits, but I was keen to do a bit of experimenting. ginger – I love gingerbread so would make some of this. Ginger, I would try adding it to my raw chocolate recipes. Spice drops? What an ingenious idea!!! I too am a cinnamon girl at heart, but I would love to experiment more with cardamom (without the risk of getting the pods stuck in my teeth!! Cinnamon and vanilla. The vanilla for when I am baking cakes also cake and Apple pie baking with the cinnamon, but I also like coffee with a touch of cinnamonin it. Yum. hey 🙂 mm cinamon for fruit! Would have to be vanilla – I use it in everything I bake including the cream and butter cream! Vanilla to put in cakes and coffee! I would love to make some proper ginger biscuits. Ginger. I use it every day. The Cinnamon to make baked apples. Cinnamon, a pep of that makes an apple pie. Cardamom is my favourite as it always is a little mysterious yet is so versatile! Cinnamon in hot milk with honey. I love nutmeg in a rice pudding.Home made of course! Cinnamon – I’d make cinnamon toast. vanilla to use in baking, also cinnamon. Actually they would all be pretty useful! Vanilla for sponge cakes, enhancing sugar and coffee syrups. I’d use them to put into yogurts and make dressings etc. Cinnamon in fresh French toast – going to make some now! Cinnamon in freshly made French toast- ooh, going to make Some now…. It would be Cinnamon! I love the taste and the aroma! I would use it in my baking, cakes, french pastries, on top of egg custard tart, and on freshly made French Toast! Vanilla in a sponge cake – yum! Cinnamon – great for gingerbread!